Here is some very good news for women lawyers with family responsibilities. In her article for Above The Law, Staci Zaretsky describes a new program for women litigators who no longer can make traditional law firm practice work because of childcare responsibilities and other aspects of family life. 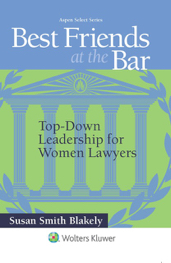 She outlines a “hot new trend” of lawyers leaving law firms to join what she describes as a growing field of litigation finance and highlights the efforts of Fulbrook Capital Management in developing a program to fit the needs of women lawyers. Known as “Virtual Women in Law,” the program is Fulbrook’s response to the recent loss of talent from women leaving law practice because of work-life conflicts. This program takes advantage of all the latest digital technologies and will allow women lawyers to work from home — or whatever location they choose — with flexible hours. Check it out here. Hat’s off to Fulbrook Capital Management in these efforts. Of course, there are other firms that specialize in litigation financing, and, if you are interested in this field of work, you should check out a variety of options for your future. This post is in no way an attempt to endorse the Fulbrook program over other similar programs. You must do your homework. And, as always, it is the hope that more traditional law firms will follow the example of Morgan Lewis, Baker McKenzie and others that have recently embraced telecommuting as an option for their lawyers and one that has proven to have no negative effects on productivity. All of this is a step in the right direction toward keeping women lawyers in the workplace — if that is where they want to be. 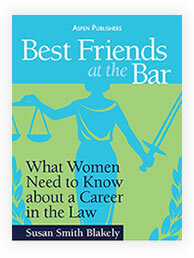 Today’s legal news outlets are full of conflicting information about the state of women in the law. On the one hand, there are reports about law firms adopting policies to promote women, and, on the other hand, there are reports that female partner promotions are plunging in the UK, which gives us pause to wonder when that particular trend will hit the US. What to do? It is a serious question for all of you to contemplate. It may be time to consider your options. 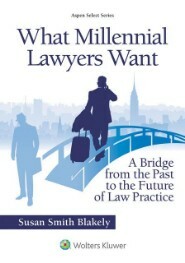 I have been writing and speaking on subjects related to women lawyers for the last decade. Along the way, I have tried to keep the faith that right will prevail and that, with increased visibility, women will receive the equal treatment they are entitled to in the law profession. I surely know that women lawyers are very qualified and represent great value to the profession, so it follows that they should be treated equally and fairly. For me it was just a matter of time and shedding greater light on the issues. But, I am not naive. 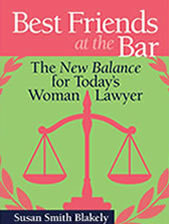 I founded the Best Friends at the Bar project because of the lack of progress on retention and advancement of women in the law, and, over the years, I have been struck by the continued slow progress and the unfair treatment that has accompanied it, and I fear that past is prologue. So, today, I take a little different view. Today, I tell women lawyers to band together to safeguard their futures– not only within the law firm but also outside of the law firm. Perhaps at another law firm — one that they band together to form. A place where they will respect each other and the individual circumstances that challenge each of them. A place where they will help each other to prevail against those challenges with the confidence that a professionally satisfied lawyer is a lasting lawyer. Women-owned law firms are becoming more and more prevalent, and, according to this recent article, an organization has been formed to help women lawyers in this endeavor. Read the interview of Nicole Galli, who left Big Law to form her own women-owned law firm and now helps guide other women lawyers in their own similar pursuits. Do not despair over weak statistics and slow progress. That is not worth your time. What is worth your time is planning for your future. So, just do it!